I’ve been a Harlequin Superromance reader for more than thirty years. I don’t remember the first Superromance I read, but my first HSR keeper was The Hellion by Lavyrle Spencer with a pub date of August 1, 1984. It fell to pieces from rereads a few years ago, and I replaced it with a digital copy. I still have a spot in my heart for Tommy Lee Gentry, the “hell raiser of Russellville, Alabama” and a reunion romance that took place after twenty-four years. It doesn’t fit the category romance stereotype, does it? Few Superromances do. That’s why I’ve been reading them all these years and discovering some of my favorite contemporary authors such as Emilie Richards, Judith Arnold, Janice Kay Johnson, Brenda Novak, Jean Brashear, Molly O’Keefe, Sarah Mayberry, Karina Bliss, and many others. Most of you will recognize the names I have mentioned, but you may not recognize another favorite, Stephanie Doyle, unless you are a faithful HSR reader. She is one of those writers who deserve a larger audience. I’ve been enjoying her books for several years, but I particularly love the Bakers of Baseball series. It is a perfect reread for this time of year when baseball is in the news and on the minds of sports fans. The series opens with a couple of prequel novellas. In “Playing the Game” sports journalist Pete Wright is irate when the Minotaur Falls Triple-A baseball team in rural New York is bought by Jocelyn Taft, a billionaire businesswoman who, in the words of the team’s manager, Duff Baker, “doesn’t know squat about the game.” But as he begins to teach her about the game he loves, he finds something more important than baseball. He just has to convince Jo that she can have a life in Minotaur Falls with him. This novella also introduces Duff Baker, a Hall of Fame shortstop and legendary manager of World Series-winning teams, who in his retirement is managing this minor league team, and his three daughters. The story thread involving Lane Baker and Roy Walker sets up the first novel in the series. The second novella, “Making the Play” uses the occasion of Pete efforts to move Jo toward a wedding to tell part one of the love story of Scout Baker and Jayson LeBec, a former baseball player currently training as a scout. Their story continues in the second novel. The Comeback of Roy Walker begins five years later. Roy, who was then retiring from baseball a wealthy man with an enviable reputation as a talented pitcher, is broke after sinking his fortune in a video company that failed. At thirty-seven, an old man in baseball, he is attempting a comeback for financial reasons. Knowing that the odds of succeeding are slim, he needs the help of a physical therapist to get into shape for his comeback. Lane, the middle Baker sister, was much in demand as a sports therapist when Roy met her, but when Roy engineered a public disclosure of her husband’s infidelity, Lane divorced her husband, cut her professional ties with sports, and declared her hatred of Roy Walker. The call from her sister Scout saying Lane is needed at home because of concerns about their father’s health comes just after Lane, burdened with guilt after the suicide of one of her patients at the veterans’ rehab facility where she has worked for the last five years, has quit her job. The sisters agree that Lane will accept an invitation from her father to work with a pitcher who needs to gradually work up to full speed. No one tells Lane that the pitcher is her former friend Roy Walker. Lane is furious, but Roy hopes his second chance a baseball will also prove to be a second chance with Lane. Scout’s Honor is the second novel. Elizabeth “Scout” Baker is the youngest of Duff Baker’s three daughters and the one closest to her father. When her parents divorced, she became her father’s champion and declared her mother a “traitor.” Four years ago, she fell in love with Jayson LeBec. For several months, their love was blissful, but when Jayson accepted a job as assistant manager to a Houston Double-A team, Scout refused to leave her father and Minotaur Falls. 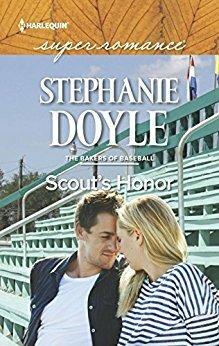 Now Duff is dead, and a grieving Scout, still reeling from the loss of the man who was the center of her world, is in danger of losing her job as a rare female scout and her place in the world of baseball, all she has ever known. Jayson agrees to replace Duff as manager of the Minotaur Falls team only at Duff’s personal request. Jayson’s recovery from his breakup with Scout has been long and painful. He knows the risk being around her poses to his heart, but he can’t refuse his mentor. He finds being Scout’s friend, protecting her from others and from herself, while challenging her to move on with her life, even more difficult than he expected. Just when it looks as if the romance has been rekindled, Scout and Jayson are faced with the choices they confronted before. Will he go? Will she stay? Or can they find a compromise that allows them to turn a second chance into a happily ever after? The series concludes with Betting on the Rookie. This is the story of Samantha, the oldest Baker sister, the one with a big surprise in her history. It picks up two years after Duff’s death. Sam, lawyer and hotshot sports agents to super stars, has retreated to Minotaur Falls after her career fell apart when she believed a client’s lies and publicly supported a man caught on video physically abusing his fiancée. No one believes that Sam wasn’t part of the coverup. She lost all her clients except the liar, and she ended that relationship. But Sam is determined to restart her career, and her sister Scout suggests a rising baseball star as just the guy to provide the reboot. Scout discovered Evan Tanner, a twenty-seven-year-old former college football player who taught himself baseball in order to coach a high school team. Scout’s belief in Evan cost her a job with the New England Rebels, but Evan is proving Scout was right. He has just been traded to the Rebels and is going to play for their minor league team, the Minotaurs, but the buzz is that before the season is over he will be playing on the major league team. Evan was attracted to Sam when they met two years ago, but he has bought into the common belief and has no interest in being represented by someone defended a guy who abused women. But Evan’s own instincts and a little pressure from Scout have him reconsidering. As their professional relationship begins, the sparks between them gain power. But when the cautious Samantha starts to trust that Evan is the good guy he appears to be, his college girlfriend shows up claiming that Evan is the father of her seven-year-old son and that she needs a cut of Evan’s major league salary to pay for young Connor’s medical bills. Sam has been burned twice—once personally and once professionally. Can she take the risk, trust Evan, and put her heart on the line, or will the Ice Princess win the day? I admit that the last novel is my favorite because Evan is a wonderful beta hero, the kind that most easily steals my heart, but I love the full series. 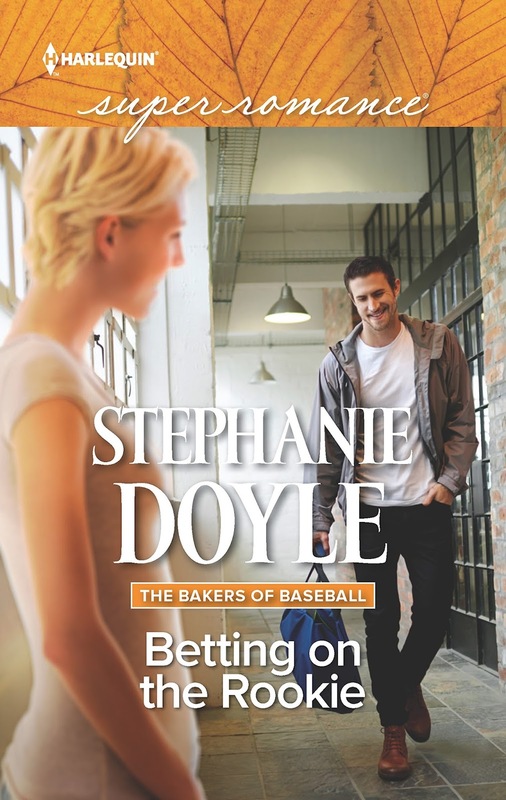 Doyle gives readers a sweeping look at the world of baseball, not through the view of a young star player or a former star dealing with a career-ending injury, the typical perspectives in sports romances but through nine perspectives from all areas of the sport. And none is typical. For example, the owner is a woman, the rising star is almost thirty, and the injured player finds a satisfying new career in management. 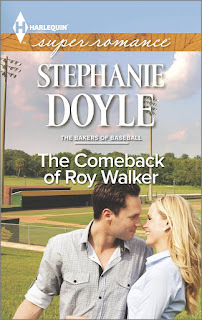 She also showcases the connection between a minor league team and the town that loves and supports “their team.” More important to the romance reader, Doyle offers four variations of the second-chance-at-love trope and makes each of them a compelling and rewarding read. Finally, she makes the love between siblings and between parent and child a vivid, vital part of these stories. 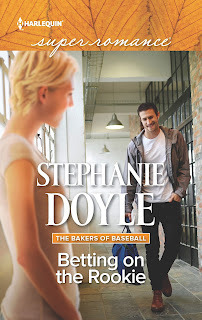 If you are a baseball fan, a fan of sports romances generally, or a fan of contemporary romance series that combine sizzle and sentiment with a rare skill, I highly recommend you try Stephanie Doyle’s the Bakers of Baseball. I ended my third reading of the series more in love with this world and its characters than I was the first time I read the books. I am a big baseball fan - Los Angeles Dodgers since the 50's, Am jotting down titles. Thanks so much. You make a remarkably strong case for reading this series in particular and reading this author in general. I admit that I am not a sports enthusiast but I love being drawn into a world I don't know and learning the intricacies of it. Sounds like a fun way to pass some of my time this summer. When you started listing all those authors, I recognized them all. Unfortunately I never heard of her and I am a big baseball fan. It was the last name of the author that threw me. Jen Doyle is also a writer of baseball stories that I love. Will have to check out Stephanie. Thanks for the heads up. I am a sport addict. I particularly like baseball - even though my team is really lousy this year. I love hockey and football too. I have enjoyed sports stories which have made me laugh as well as cry. I think one of the things I love about sports books - the athletes have such a short time to play. Most of them are considered over the hill when everyone else is just coming into their own. That fact alone makes sports heroes very special and easily interesting characters. This series should go over well in our area. We have 3 "farm" teams in the surrounding towns. The players stay with families and there is much support for the players and teams. I like the variations on the theme she has used in this series. Thanks for telling us about it. Sounds like an interesting series. I love watching baseball. I've never heard of this author, but she sounds good! I've added her to my TBR.